It is unlikely that the presidential and parliamentary elections to be held this year would affect the speed of the implementation of reforms in Ukraine, according to most participants of the CFA Society Ukraine Investment Forum held in Kyiv on Friday, March 15. According to its express poll, 58.33% of the audience backed the above opinion and 62.944% confirmed it during the repeated voting after the information panel. However, 15.74% and 21.68% of the participants during the repeated voting said that the reforms would accelerate. Some 17.59% (11.91%) and 8.33% (4.2%) respectively expected that the reform would slow down and would be backtracked. 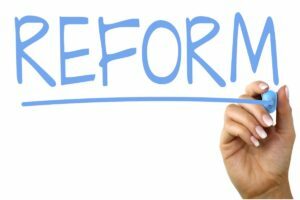 According to Economist of Morgan Stanley investment bank Alina Sliusarchuk, judicial reform is currently the key reform for Ukraine. “The first question that investors usually ask me is not about the labor market or even about the war in the east of the country. It concerns the fight against corruption, judicial reform, the presence of structural changes. That is, this is the most important issue,” she said at the forum. Chief Economist at the Dragon Capital investment group Olena Belan said that the intentions and aspirations of the new authorities would very quickly manifest themselves in the macroeconomic situation. “Regardless of who will be elected, if the new government continues cooperating with the International Monetary Fund, adhering to the correct policy, rather than making populist decisions, there is a potential for reducing the key policy rate by 2 or 3 percentage points,” she said. Executive Director of Blazer International Foundation Oleh Ustenko has the same opinion. He said that the success of the new government will directly depend on whether they are based on expert opinion. “I am sure that in Ukraine the situation will really improve if each of the existing candidates who intends to lead the country will follow the instructions prepared by the experts. Of course, the person who is elected to this position is important, but society and international partners are unlikely to allow future head of state to significantly deviate from the course of reform,” he said. About 300 financial and investment experts took part in the ninth CFA Society Ukraine Investment Forum.